Crack the case of the missing cake. Who stole the missing cake? When did they take it? What did they drink with the cake? It’s the mystery classic, for kids! 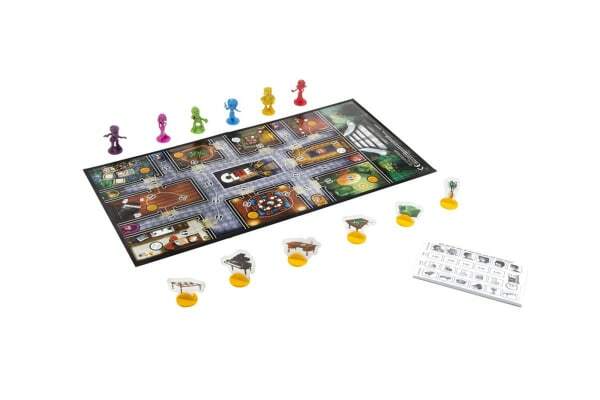 This Hasbro Cluedo Junior game sets off young players on a dice-rolling mission to discover who took the cake, when they took it, and what they drank with it. Kids will find clues and eliminate choices to unfold the mystery. 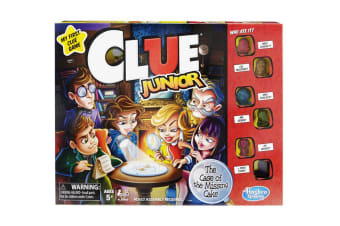 Features all the classic Cludeo characters – Miss Scarlett, Mrs. Peacock, Col. Mustard, Mr. Green, and Prof. Plum, plus the new Dr. Orchid – a biologist with a giant sweet tooth.